His preaching was so good, they called him the Golden-mouthed. 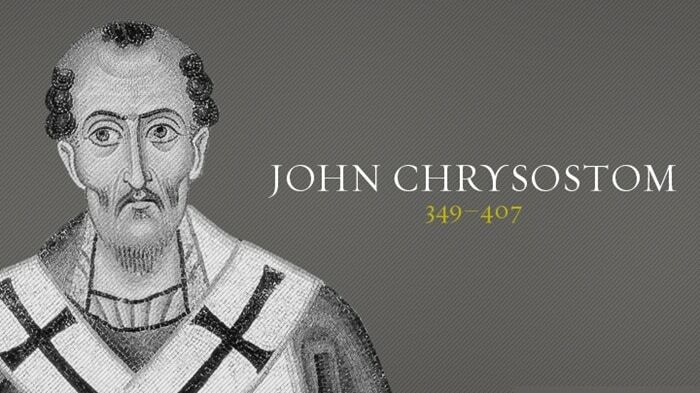 John Chrysostom was raised by a widowed mother in the city of Antioch. During the mid-4th C, Antioch was a major city of the Eastern Roman Empire & a major center of Christian thought & life. Coming from a wealthy family, John’s young mother decided to remain a widow & devoted herself to her son’s education. She hired a tutor named Libanius, close friend of the Emperor Julian the Apostate. Libanius instilled in John a love of the Greek classics & a passion for rhetoric that laid the foundation for his later life. He began a career as a lawyer but when he heard the Gospel, became a believer & was baptized in 368. His zeal drove him to that time’s most regarded example of what it meant to follow Jesus – he became a monk. But the deprivations of the ascetic life ruined his health. In 380, he left his cave to rejoin life in his hometown of Antioch. Six years later the bishop there ordained John a priest and he began a remarkable preaching career. In the Spring of 388, a rebellion erupted in Antioch over the announcement of increased taxes. By way of protest, statues of the emperor and his family were desecrated. Imperial officials responded by punishing city leaders, going so far as killing some. Archbishop Flavian rushed some 800 miles to the capital in Constantinople, to beg the emperor for clemency. In the bishop’s absence, John preached to the terrified city: “Improve yourselves now truly, not as when during one of the numerous earthquakes or in famine or drought or in similar visitations you leave off your sinning for 3 or 4 days and then begin the old life again.” When Flavian returned 8 wks later with the good news of the emperor’s pardon, John’s reputation soared. Preaching and teaching had always been central to a priest’s work, but under John, it took on new significance. His messages were markedly different from the allegorical mish-mash common at that time. John’s sermons were straight-forward, literal interpretations & applications of Scripture. Over 600 of his messages have come down to us so we get a feel for the power of his eloquence, which earned him the nick-name “Chrysostom = Golden-mouthed.” Though he was slight of build, the quality of his voice was remarkable. He could be heard clearly by large crowds. In early 398, John was seized by soldiers and transported to the capital, where he was forcibly consecrated as the bishop of Constantinople. His kidnapping was arranged by a government official who wanted to adorn the church in the capital with the best orator in Christianity. Rather than rebelling against the injustice, John accepted it as God’s providence. But rather than soften his words for his new & more prestigious audience, including many from the imperial household & court, John continued the same themes he’d preached in Antioch. He decried abuses of wealth and power. His own lifestyle became a scandal because he refused the decadence the wealthy & influential were given over to. He instead lived an ascetic life, used his considerable household budget to care for the poor, and built hospitals. Assisting John in this public challenge to Imperial excess was a popular & wealthy woman named Olympias. Olympias was widowed after only 2 years of marriage to one of the wealthiest men in the Empire. Coming from a wealthy family herself, at only 25 years of age, she was one of the world’s richest people. Thinking a woman would not know how to handle all that money & the power it brought, & that surely it would end up being used by his enemies against him, the Emperor Arcadius ordered her to remarry his cousin. She refused! She decided instead to use her wealth to help the poor & needy of Constantinople. She founded a convent that housed 200 women devoted to taking care of the sick and poor. She started an orphanage & hospital. Olympias & John struck up a deep but not romantic friendship & encouraged each other greatly as they took a lonely & dangerous stand opposing Imperial abuse of power. John’s resistance to the Empress Eudoxia’s excess upset her so much she persuaded her husband to have John banished in 403. Rioting by the people saw his immediate recall. What provoked John was Eudoxia’s claim to be a Christian, yet insistence on doing things unworthy of a follower of Christ. As the Empress, she set the standard for the rest of the royal court to follow. When she had a silver statue of herself erected near the church, John made plain his resistance. This moved her to once again demand his exile. When news got out, rioters burned several buildings. John’s enemies blamed the riot on Olympias so she was also sent into exile. Some historians assign John a horrendous lack of tact in dealing with the rich & powerful of Constantinople; especially the Emperor & his wife. We could call it a lack of tact, or simply an unflinching courage to speak the truth to power; to leaders who claimed to be followers of Christ but whose lifestyle showed little evidence of it. John Chrysostom was a man at a crossroads. He was uniquely gifted as a preacher & teacher dear to the common people. He was bishop of the Roman Empire’s most politically influential city, so his potential to influence policy was immense. He was a major church leader at a moment in history when Church & State were joined at the hip and many church leaders were beginning to flex their political muscles. But in doing so, they forfeited their spiritual authority. They didn’t just avail themselves of civil access, they donned the trappings of worldly power in dress, diet, & domicile. John vehemently resisted this worldly corruption of the clergy. He understood that the Church’s duty is to stand as a prophetic witness TO the world, TO the civil realm, not to become its partner. While the common people loved him for this, his clerical peers & the wealthy of Constantinople were offended by him. In an earlier episode, we noted how the Early Church developed around 4 centers; Jerusalem, Antioch, Carthage & Rome. By the 4th C, Jerusalem & Carthage had lost importance but Alexandria & Constantinople filled their place. A long rivalry developed between Antioch & Alexandria that lasted for a few centuries. There were numerous reasons for it, but mostly it had to do with prestige of position; that is, which church could boast the most beloved & influential leaders. Antioch was the home church of Barnabas & Paul. It had been instrumental in the early growth of the Church as it sent out missionaries North, West & East. Many of the churches in the East owed their existence to Antioch’s faithfulness in planting new works. But Alexandria had been the center of classical scholarship for generations. Who hasn’t heard of the famous Library of Alexandria? The schools there were world-renowned. Such church luminaries as Clement, Athanasius, & Origen all hailed from Alexandria. Central to the rivalry between the 2 churches was their different methods of interpreting Scripture. You’ll remember Origen had developed a highly allegorical method of studying and teaching the Bible. The church at Alexandria adopted this methodology & followed it for generations. Antioch, on the other hand, tended to read & understand the Bible more literally. 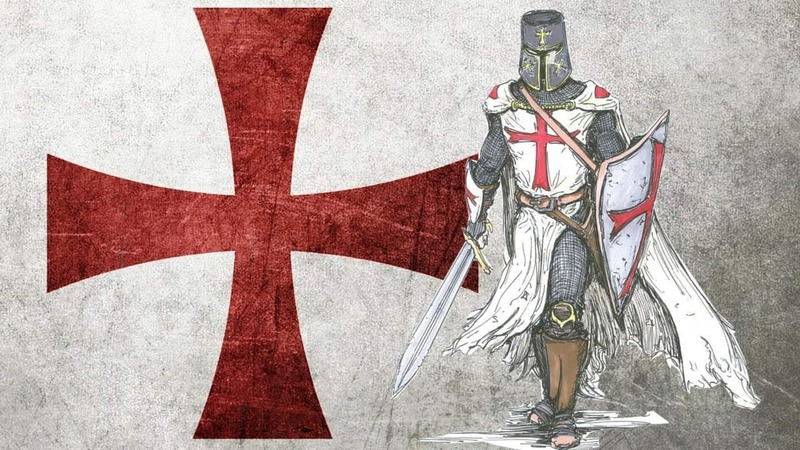 The rivalry between Antioch & Alexandria became so bitter that at points it broke out in bloodshed, as we’ll see later. For now, just know that the archbishop of Alexandria, one Theophilus, was jealous of John’s call from Antioch to be the Bishop of the Capital. When he heard John was making a lot of enemies among the rich & powerful there, he called a council nearby and, making up charges of heresy, had John deposed. John was sent into exile by Empress Eudoxia and Emperor Arcadius. As he was being transported across the plains of Asia Minor in the heat of summer, his health began to fail. On the eastern shore of the Black Sea, at the edges of the empire, his body gave out and he died. 34 years later, after John’s enemies were dead, his relics were brought back in triumph to the capital. Emperor Theodosius II, son of Arcadius and Eudoxia, publicly asked forgiveness for the sins of his parents. John was later given the title of “Doctor of the Church” because of the value of his writings. Along with Basil the Great, Gregory of Nazianzus, and Athanasius, he’s considered one of the greatest of the early Eastern church fathers. This is an amazing podcast. Please when you get time. What does denouncing, prostitution, swearing, gluttony, the theater mean? It is the ‘denouncing’ word does that mean it these sins are at the highest of list of sins. Like really bad sins? Thanks again this guy describe me. A feel John saw himself in Paul as a rebel against the love of the wealth of the world. Instead of the wealth of Jesus Christ LOVE. The God of Salvation…Hallelujah! Again, thank The Holy Spirit’s The Comforter for inspiring this podcast. This will reach those in the destitute bad gang lands or of poverty who believe they are never enough for Jesus. They are stuck on the ideals that only the holy followers of Christ go to be Him. This is wrong. I apologize if this reply does not address what you asked. I suspect there is a bit of a translation challenge. The word “denounce” does not mean that the sins John Chrysostom mentioned were “highest” sins. To denounce something simply means to call it wrong; to place blame on it. John had a pastoral concern for the holiness of his people and saw a tendency to worldliness that moved him to preach against things that had become acceptable for the followers of Jesus when they ought not have been. Any pastor who dares to point out how & where worldliness has crept in to the lives of his flock is destined to be opposed by those who love the world more than God. I love this podcast. I have listened to every podcast episode and now I am listening to them all again. There is so much good info. Thank you! I have been researching the catholic theology and history. I go to a non-denominational church but I knew that Catholics calm to be the original religion so I have been comparing my beliefs to theirs and I have been doing a lot of research in the bible. Many of the Catholic beliefs can not be found there so I have turned to history to figure out where some of their beliefs have come from. This podcast has answered so many questions that I had about my own beliefs and those of some Catholics. Thank you! I love the interesting way information is presented. Great Job! Thanks so much for the kind words KC. Listening to these podcasts for the first time. Its like drinking a cup of cool water! I have only recently begun to understand that the Church is my true heritage and to finally get to know my spiritual “family” is something I look forward to everyday. Its amazing the work you have put into this. Thank you. Thanks so much for the kind words JJ.